You can use the QML live preview to preview a QML file or the entire UI on the desktop, as well as on Android and embedded Linux devices. The changes you make to the UI are instantly visible to you in the preview. You can preview individual QML files or the whole UI in the Design mode. 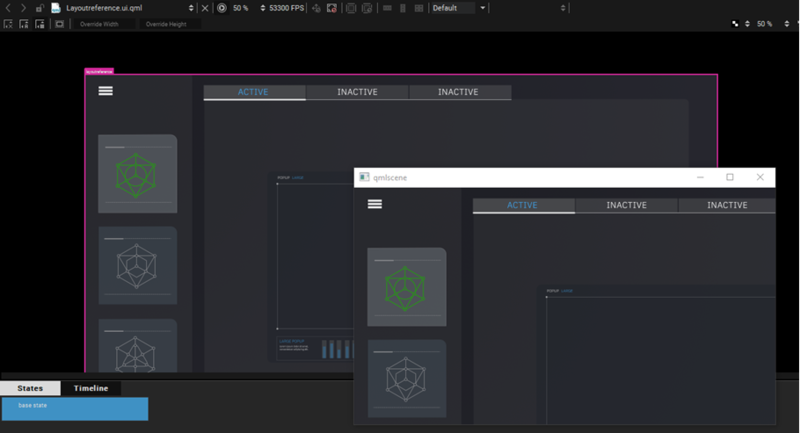 When you install Qt Design Studio, everything you need for previewing on devices is set up automatically. You only need to connect your devices to your system.